Taare Zameen Par brought back memories of childhood. No, I wasn’t dyslexic – at least not clinically! But there are some things that are common to children – whether dyslexic or not – they create their own world of imagination and love living in it. I once discussed this with a couple of my friends during one of our late-night never-ending conversations – and we all agreed on one thing – when we were kids, we often imagined ourselves as being heroes – larger-than-life creatures, almost mythical characters. One of us saw himself as a cricketer who uprooted the middle stump with every ball he bowled in his dream stadium located in the living room, while another was the early 90s version of Hrithik – all the moves et al. One even used to imagine himself singing in a huge stadium with the packed-to-capacity crowd chanting his name! Sorry for digressing.. I am thinking – this is what a movie like TZP does to you, it makes you think. 2. When Ishan is playing with dogs and the kids in the neighbor-hood ask him to get the ball, the dog on his lap is actually sleeping! I haven’t been watching too much TV lately, but I sincerely feel that the music by Shankar, Ehsaan & Loy has been grossly under-rated. The lyrics and the music totally stand-out – both in the context of the movie and even otherwise. What I liked most about the music was the extensive use of distortion guitars and the melodious strumming in most of the songs. Different movies evoke different reactions from audiences. OSO might make you laugh. Black might make you weep. Hazaaron Khwahishein Aisi will make you think. Taare Zameen Par will make you do all of these things. Besides, it will make you feel. Capital punishment in schools??! You mean, kids are killed in schools? well amit dear u 4got one of d expressions. The way Ishan stared his father when his father was jokin wid him hat he is leavin the house n going jus coz of him. that was one of the most natural expressions i have ever seen. MAJOR blunder… thanks…. has been rectified… I meant Corporal Punishment! Yes, you are right. Actually the movie is full of little things like these..
Another bit that I now remember is the way the mother notices her father who is looking jealously at the other kid who beats his son in the tennis final rather than greet his son after the match. The mother’s expression is natural, realistic .. she wants the dad to show affection to their son instead of feeling a sense of loss and jealousy! Ruhi has presented a detailed explanation why and also posted a cartoon from where Ishaan’s mathematical calculation animation may have been lifted/(inspired 😉 ). It is uncanny that the ideas are similar. Check it out! 🙂 It is an interesting read. capital punishment! hahahahahahahah! hmm. movie sounds good. will wait till it comes on cable! Lagaan and DCH were enough to make me realize that! sharafat ka zamana nahi raha…. I loved the movie.. every Bit of it.Best part was the childs acting!.. incredible..
senti / gande jokes mat crack karo.. Totally agree. That scene almost looked like a documentary… it was so realistic! Yes. Brilliant acting. Credit also due to the director to get those expressions / movements out of a child! 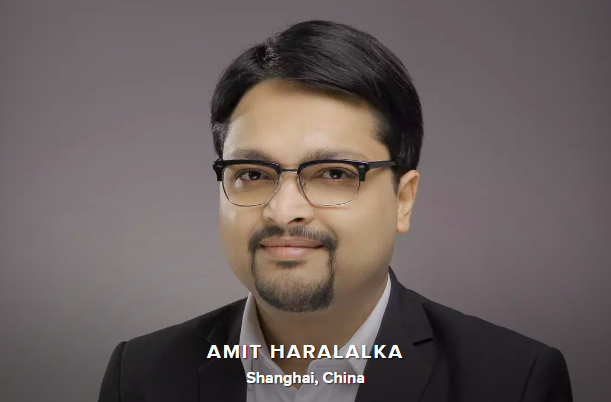 oh my lord… the great amit harlalka… the father of all critics.. thou seeks shelter and pardon from all senti/ gande jokes one has imparted on dis world…. may god rest my soul in peace after death… lolz!! Clown scene apart, I disagree with you on most counts. If the first half imrpessed you “so” much, then you should not let one or two tear-jerking scenes / cliched episodes ruin your impression steeply. There were a lot of in-your-face” emotions in the movie.. but it did have subtlety… and trust me, it had a HUGE amount of subtlety in a lot of scenes.. Maybe you missed them.. or maybe I just “got” them the way they were intended to be! IMHO, The background score complemented the movie perfectly. In fact, I think I have seen very few scores complement the script as well as TZP does. And as far as Shankar Mahadevan is concerned, his voice has got certain modulations that only he is capable of bringing out. I think he does a fabulous job in the songs of TZP too.. and what I like most about the music form the music point of view is the use of distortion guitars.. It appeals to my “rock-music” ears! I think he has played both roles brilliantly. I am not much of a bollywood freak myself, but to the casual eye and the masses (of which I am one! ), the movie delivered.. 100%! But that’s just my opinion…! Nice little dissection – watched it with 8 people ( 4 from BIT 2k1) and I know at least 7 of them cried. Great movie and a good review. I know.. It is quite natural to get a little carried away in a movie like Taare.. coz the characaterization is so detailed and it appeals to everyone .. in some way or the other! Agree with you totally. Landmark movie in terms of technique and performances. Couldn’t help but marvel at the attention to detail. Aamir will only get better at it, one hopes (almost a given). Let the accolades be bestowed! Hmm..that was a nice review. And TZP is a splendid movie. One of the best in recent times. One wherein the director got his casting bang on. Yes, casting was superb.. very very apt… Even Tisca Chopra played and looked the part perfectly! Aahaan.. Yes.. I did notice the Qualis.. But cudn’t really get the Toyota-Aamir connetion.. Yeah.. These connections are always taken advantage of in movies… Hrithik always has Coke in his movies if he ever needs a soft-drink! i wonder who painted the face of Ishan in the end?? best part of the movie when he gets 5 on his hand with ruler, m glad it wasn’t duster. ohh ya n the chalk flying at his head haha!! Yes.. and I remember the part you are talking about… It was very natural and free-flowing indeed! I m a die hard fan of Amir Khan. I respect him for his creations, his acting and his perfections in whatever he does. No doubt it is clearly revealed from his creations that he is a very good person. About Tare Zameen Par, i liked the film very much and i requested all my friends and collegues to see the film as it is a must see by everyone. I just have one complaint, Though Darsheel’s acting is superb, have we left out the Handicap Friend of Darsheel unnoticed? I am also sorry to not recollect his name in the film nor i could find his real name anywhere else. Dear Amir, I feel he has done a good job in ur film and seems to be a good actor too. Shouldnt he be promoted. Now i m waiting to see ur next Creation Amir. Thanks for dropping by… Do keep coming back!